Anderson’s AOR 16” 6.5 Grendel Complete upper: Comes with 16” 6.5 Grendel barrel, 1-8 twist, carbine gas system, 5/8-24 threads, 7075 T6 Forged Upper Receiver, A2 Plastic Carbine HandGuard, 308 A2 Flash Hider, Standard Charging Handle, and 6.5 BCG. Prvi Partizan (“PPU”), the manufacturer, is recalling all 6.5 Grendel ammunition. Because of different chamber sizes in certain rifles, 6.5 Grendel cartridges may be subjected to excessive chamber pressure. Use of these products may result in firearm damage and possible serious personal injury. 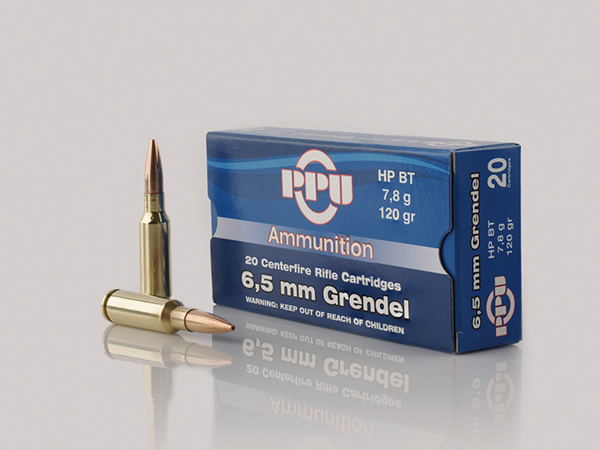 If you have any 6.5 Grendel ammunition or brass manufactured by PPU, please call (203) 375-8544 to [email protected] arrange for its return and replacement. What sort of accuracy could one expect with this at 100 yds.? Is this upper RF85 . Will Ya’ll sell the barrel separate at some point? Can I really expect sub MOA accuracy straight out of the box? Q – Will this upper be offered in RF85? When will RF85 uppers be available? When will rf85 6.5 G complete uppers be available? and what is the weight of your complete 6.5 G upper attached to your $201 magpul complete ar15 lower? The weight would be around 6-9 pounds. Another vote for RF85 up complete uppers…would order one today if it was available as either an upper w/bcg and barrel or an EXT complete upper…how many people need to express interest for this to happen? We are waiting on the uppers to come back from RF85. Should be back online next week. Awesome! Any chance of adding these parts to the RF85 page? What barrel are you looking for? When do you anticipate a 22″ or 24″ barrel for the 6.5? What velocity would I get from the 16 inch barrel with 123 grain bullets, when do you expect the complete uppers back in stock and do they come with a magazine? What is different from your Anderson upper and the Wolf upper? I read where Anderson is making those for Wolf..
What would be the downside to getting this version vs the EXT version of this upper? I have asked and the EXT is free floating. How much does that matter and if so to what extent? is this barrel chambered for type 1? My wife just got this 6.5 Grendel complete upper for me for Christmas, and I have yet to get it to the range. However, it looks like a great product. The finish is nice and will certainly compliment my Anderson lower that’s been waiting for it. The only complaint which kept it from getting a 5 star rating was that the flash hider was upside down (all venting towards the ground). I was able to get the remaining 180 degrees out of the crush washer and get it right side up, so no biggie. Just something for the QC people to watch for. Thanks. * When I do get some rounds through it, I’ll follow this up. What the heck does AOR stand for? is this a type 2 bolt carrier and barrel that comes with this upper?